Darlene Franklin’s greatest claim to fame is that she writes full-time from a nursing home. 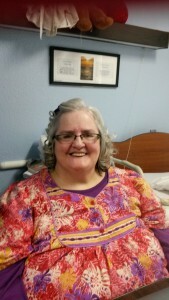 She lives in Oklahoma, near her son and his family, and continues her interests in playing the piano and singing, books, good fellowship, and reality TV in addition to writing. She is an active member of Oklahoma City Christian Fiction Writers, American Christian Fiction Writers, and the Christian Authors Network. 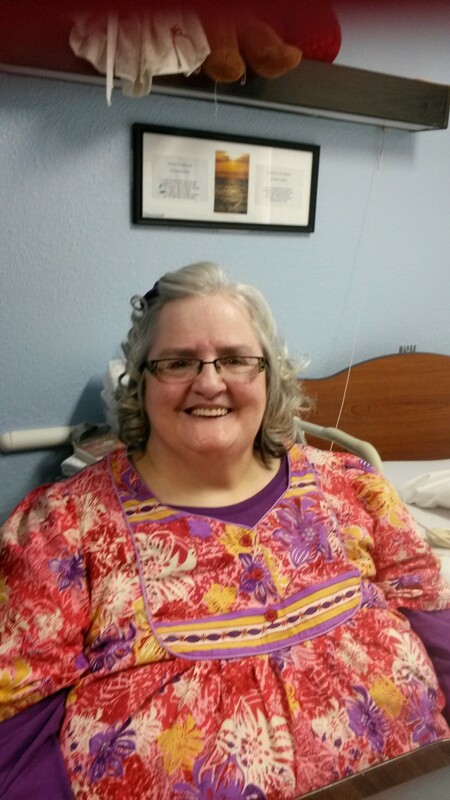 She has written over forty books and has written more than 250 devotionals. Her historical fiction ranges from the Revolutionary War to World War II, from Texas to Vermont. You can find Darlene online elsewhere at https://www.facebook.com/Poet.Darlene.Franklin and http://www.amazon.com/Darlene-Franklin/e/B001K8993A/. Over Memorial Day weekend, I indulged in watching marathon airings of my favorite mysteries: Diagnosis Murder, Columbo, Murder, She Wrote, Hart to Hart, Garage Sale Murders, Mystery Woman. All the stories are “contemporary” to me; I watched them when they first aired, from the 60s through 2015. But watching them this time, how dated some of the shows seemed. Then I realized—at that time, portable phones may not have even been invented, and certainly not as sophisticated as today. With as little as I know about fashion history, I could guess their era by the clothing. Columbo’s shabby overcoat was never fashionable, but I felt like I had taken a trip back to high school (1968-1972) with the turtleneck shirts and the men’s haircuts. Stephanie Powers (Jennifer Hart) was a beautiful woman who showcases the best of what money could buy in her era, 1979-1984. Angela Lansbury (Murder, She Wrote) is a classic beauty who traveled the world. In her stories, we saw everyone from Maine fishermen to Mexican musicians to French artists—and all dressed to match. Not quite enough time has passed for Mystery Woman (2003-2007) to have a vintage feel and Garage Sale Mysteries are still in production. How quickly fashion trends become passé. Certain fashions (such as the bustle) instantly identify the time period of a story or a picture. They bring both personal memories and a sense of nostalgia. Vintage clothing has become a popular industry in recent years. With my interest in history, the possibilities of murders connected with a vintage clothing store seemed endless. My mystery series, Dressed for Death, feature the owner of such a store. 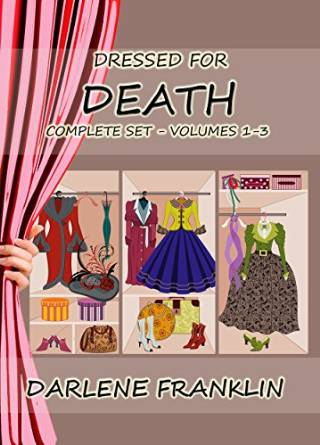 She provided costumes for a reenactment of the Gunfight at Grace Gulch; located a pearl necklace for a stage production of A String of Murders; and stocked merchandise for a 60s-themed high school homecoming in Paint Me a Murder. The feud between the Graces and the Gaynors is still going strong more than a century after its inception in the 1891 Oklahoma land run. Newspaper editor Penn Hardy is murdered during the reenactment of the most famous gunfight in the history of Grace Gulch, Oklahoma. Cici Wilde, owner of a vintage clothing store, feels compelled to investigate when police suspect people close to her. She soon discovers her talent for sleuthing equals her flare for wearing period clothing. Theater director Audie Howe never expected the reenactment to end in a real murder. He cares too much for the future of the Magda Grace Mallory Theater – and the charming Cici Wilde – to let her face danger alone. Cici and Audie take a dangerous gamble to nail the killer – and lay their lives on the line. Blackmail turns deadly. . .
With the discovery of the body, a recent spate of ugly e-mails throughout the Grace Gulch community becomes intensely personal. The murderer purposely lured the victim to Cici’s store. Why? The answer lies in the strand of pearls, a gift from arts patron Magda Grace Mallory. She has loaned them to Audie, director of the MGM Theater, for use in the upcoming production of Arsenic and Old Lace. Evidence points to members of the close theater community. Is it Gene Mallory, Magda’s ne’er-do-well son? Lauren Packer, Magda’s lawyer? Peppi Lambert, Grace Gulch newcomer and good friend of Cici’s sister? Or Suzanne Jay, theater diva with a shady past? 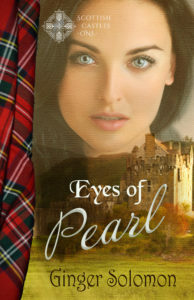 When a second murder is committed with the same string of pearls, Cici battles through baffling clues to find the killer before he strikes again. Two years have passed since the last murder rocked Grace Gulch. Life has settled down for the three Wilde sisters. The town is celebrating the opening of the MGM Center for the Arts with a clue-driven scavenger hunt, and Cici expects her first child in six weeks. Newcomers have joined the community, including Cici’s mother-in-law, Gilda Howe. Cici’s peace is shattered when an art studio burns down with the body inside. The missing artist quickly becomes the primary suspect because of his public breakup with the victim. An old secret forces Cici to take up sleuthing one more time. Legends of buried treasure and rumors of drugs mix with jealousy as Cici looks into arson and murder. When she comes close to solving the puzzle, a second person goes missing—her little sister. Will she find her in time? Thanks for trip down memory lane, Darlene. I have never seen some of those shows, but I remember Diagnosis Murder and Murder, She Wrote–two of my favorites back in the day. What shows do you remember watching way-back-when that look old and sadly lacking now?